Sad news theatre fans. One of last season's most celebrated plays is saying goodbye. The good news is that you still have three months to see it. 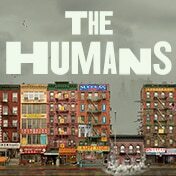 The Humans, which won four 2016 Tony Awards, including Best Play of the Year, will play it's final performance at the Gerald Schoenfeld Theatre on January 15, 2017. Now while the show may be closing on that date it is still possible that it could continue at another theatre. If it does it will be it's forth venue since it premiered Off-Broadway last September. Here's hoping the show continues. It is fantastic. By the way for those of you who want tickets to the show, you are in luck. We sell it. Not only that but if you call right now you can get tickets to see the show at prices that can't be beat. Just ask for The Humans "Insider Price" and we will take the care of the rest. It's that easy. Get your tickets to see The Humans on Broadway at the Gerald Schoenfeld Theatre. You will love it. Until next time theatre fans.